How Important Is Theater in German Society? Before you begin working your way to foreign language fluency, it helps to understand the culture behind the language you’re learning. After all, language exists to help a group of people express their ideas and beliefs. Germany is an old country with a rich history and culture. As you begin your German language program, gaining a strong grasp on this history, the values, and the etiquette will help you rapidly achieve success. In particular, Germansvalue high culture and fine arts in their society, specifically, their world-renown theater and appreciation of opera. One thing you are sure to find in a German city is a museum. Indeed, any town with over ten thousand people has a museum. In Berlin there’s a hundred at least. Though the French are more famous for their culture, Germans take pride in their high culture in a way that most folks don’t. 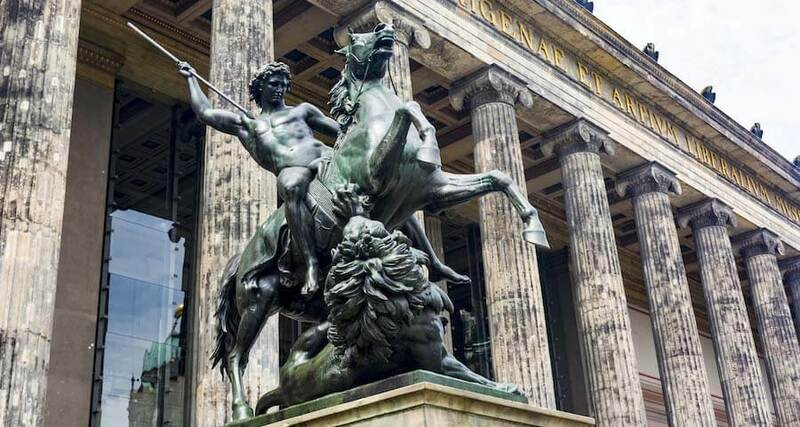 For example, Germany has a pretty big theater and opera tradition, going back all the way to the High Baroque when Germany was a bunch of independent little states and they were all competing heavily for the best court composers and orchestras. If you were a big cheese like Haydn, Bach, or Händel then you were getting big money to make music for a court, the way American cities compete to get sports stadiums. These days the trend continues with generous federal subsidies to the arts, and so Germany has some of the best orchestras in the world. Of these, the most famous are the Berlin Philharmonic—raised to eminence under the magisterial postwar baton of Herbert von Karajan, and before him by Wilhelm Furtwängler and Arturo Toscanini—and the Leipziger Gewandhaus, whose former director, Kurt Masur, worked for many years in the US. Go listen to the orchestra in Germany and you will not regret it.